Johannes Hahn is European Commissioner for European Neighbourhood Policy and Enlargement Negotiations since November 2014. He spoke to EURACTIV Germany’s Herbert Vytiska. Which Western Balkan countries made the most progress in the past year? First and foremost it is the Former Yugoslav Republic of Macedonia which has overcome a deep political crisis by democratic means. The country has made considerable progress in implementing the Przino Agreement and reform priorities under the new, reform-oriented and pro-European government. Particularly noteworthy are the efforts of the government under Prime Minister Zaev for good neighbourly relations. After the friendship treaty with Bulgaria, finally after 27 years of futile efforts under UN mediation, the name dispute between Skopje and Athens has been settled. This historical agreement marks a significant step towards the realisation of the country’s Euro-Atlantic perspective. However, the success of the agreement still requires a referendum, the outcome of which must be awaited. I therefore call on all political actors to work constructively to achieve this goal and not to jeopardise the progress made due to party-political considerations. It is about the future of this country, therefore the referendum on the agreement with Greece and the new name should be carried out as soon as possible. The ratification and a successful referendum are essential steps on the way towards NATO- and EU-membership. However, Albania, coming out of the shadows of its past, has also left observers pleasantly surprised. The country has made good progress in implementing its reform priorities, especially when it comes to the very ambitious judicial reform. The government has also demonstrated unity in the fight against corruption and organised crime, whereas now it is about making condemnations of the masterminds. Albania, like the Former Yugoslav Republic of Macedonia, is working on agreements to resolve open border issues and is generally seeking good neighbourly relations. Due to the substantial progress made by both countries, the European Commission has recommended accession negotiations to be opened with Albania and Macedonia. What about the progress of the other Western Balkan countries? In general, it can be said that all countries have made progress over the past year, albeit at different speeds and intensities. Montenegro and Serbia, which are currently the “frontrunners” when looking at the opening of chapters, have opened more of them in the past year, and they now have 31 and 14 chapters respectively out of a total of 35. The European Commission said on Wednesday (17 July) that Kosovo has met the remaining benchmarks to win visa liberalisation with the EU that other Western Balkan countries already enjoy. Kosovo has fulfilled the remaining conditions for granting visa liberalisation, so that we were able to make a positive recommendation. Bosnia and Herzegovina provided answers to the Commission’s extensive list of questions, which is a condition for granting the candidate status. The enlargement strategy mentions a target date, namely the year 2025. Is it not too distant and daunting for the countries that want to join? Not at all! This indicative date is not far away, because the reforms to adapt to EU standards take a long time, as it is not just about legislative changes, but also about their actual application. If one considers the necessary referenda and ratification procedures in some countries, one will recognise that this indicative date is very ambitious, but feasible. It is also necessary to consider that substance matters. Quality comes before speed! There was scepticism in some member states in response to the Commission’s recommendation to open accession negotiations with Albania and Macedonia. How do you want to convince countries like France or the Netherlands that enlargement is important for the EU? The expansion of the Western Balkans is more relevant than ever, especially in view of the increasing erosion of the rule-based world order. The Western Balkans are surrounded by EU member states and belong to Europe geographically, historically and culturally. It is in the best interests of the EU to ensure stability and prosperity in its immediate neighbourhood. My principle for expansion is exporting stability rather than importing instability. In that sense, the EU integration of the Western Balkans is an investment in the security and stability of the union. Not to forget the geo-strategic aspect: it would be unwise and almost negligent to leave behind a vacuum that other international actors, whose values ​​do not agree with ours, make use of. 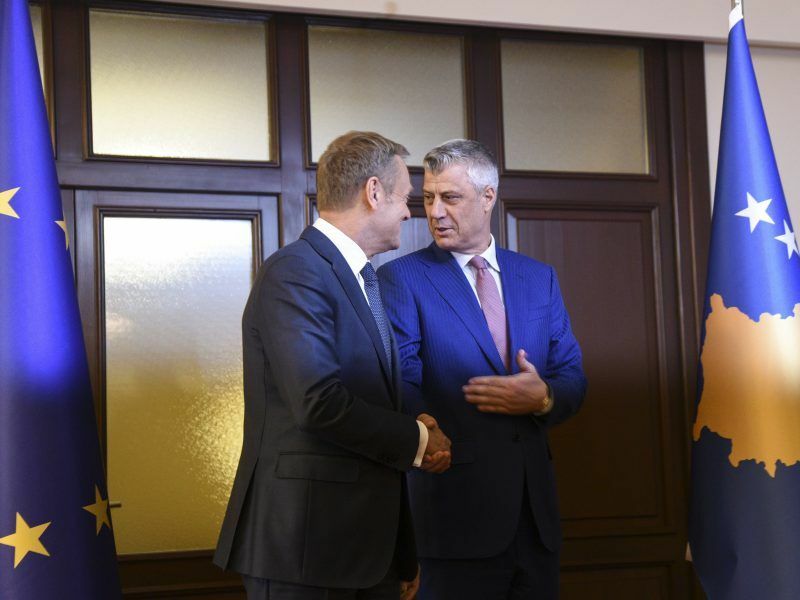 The European Union pledged fresh funds for the Western Balkans on Thursday (17 May) to help its transport and digital infrastructure, renewable energy and education efforts. It also agreed to work closely on “security challenges”. But talk of further EU enlargement remained elusive. While there are positive developments in the Western Balkans, Turkey’s European orientation seems to be shrinking. After the recent election, Erdogan will put the country even further off the ground, and fundamental rights and freedoms are under heavy pressure. We adapted our strategy towards Turkey to the situation in the country before the elections. All member states share the finding that in recent years Turkey has moved further and further away from the EU and its standards. That is why the member states have also confirmed at the last Council that the accession process has come to a standstill and for the time being no further chapters can be opened or closed. At my initiative, pre-accession payments have also been adjusted, that is, cut by several hundred million euros over the next few years. Wouldn’t it be time for some realism when it comes to Turkey’s accession perspective? In my view – and from the point of view of most Member States – meaning, it makes sense to continue the dialogue with Turkey. Because Turkey is and remains an important neighbour from a geostrategic perspective. Cooperation in areas of common interest makes perfect sense, as the refugee agreement shows, which works because both sides are upholding their commitments. In the longer term, therefore, it may be useful to think of new formats beyond the accession negotiations, the conditions of which Turkey is unable or unwilling to fulfil. 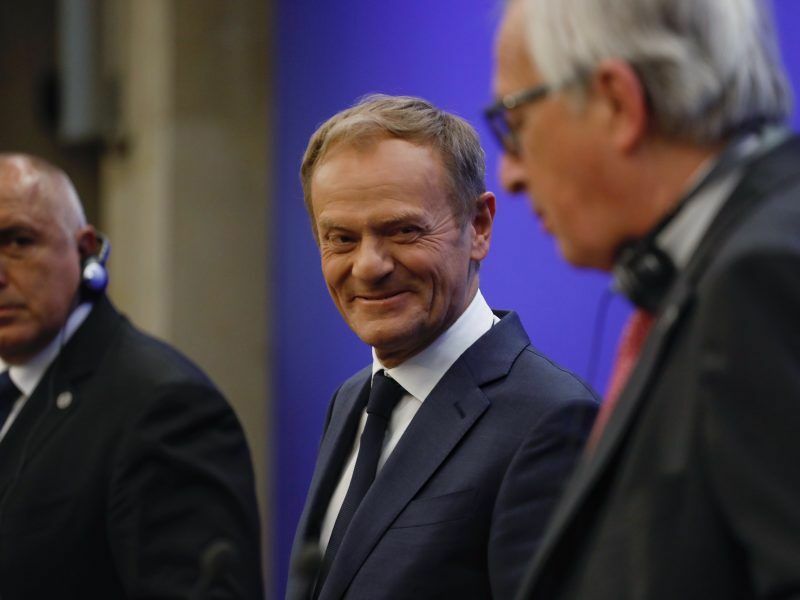 – the EU 27 has reached a point where its unity – severely shaken by the 2004/2006 entry of 10 new and unprepared members – must be re-funded and strengthened. The entry of yet 6 or 8 new – and still more unprepared – members might be the last straw that kills the Union.